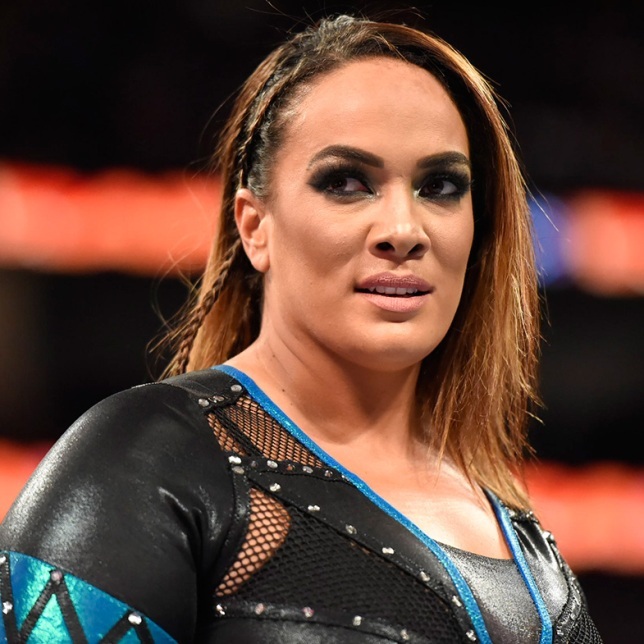 - Nia Jax tweeted this backstage video while working the WWE 205 Live non-televised live events over the weekend. As noted, Nia was the special referee for the main events of the two shows, which saw former WWE Cruiserweight Champion Enzo Amore retain over Cedric Alexander after Jax hit Alexander with a Samoan Drop. Nia says she will make history again by winning the first-ever women's Royal Rumble next Sunday. She also talks about how she and Mixed Match Challenge partner Apollo Crews will defeat SmackDown Women's Champion Charlotte Flair and WWE United States Champion Bobby Roode in Week 6 of the competition. Jax continues to rant about Crews' baggage - Titus Worldwide members Dana Brooke and Titus O'Neil. Also below is video of Titus Worldwide calling on Penn State Head Football Coach James Franklin for some winning vibes as they prepare for the MMC Week 6 match. Titus, Crews and Dana trained with other WWE Superstars at the Penn State facilities before the RAW live event in State College, PA this weekend. - Here is backstage video of The Bella Twins at last night's RAW 25th Anniversary special in New York City. The Bellas were brought out on stage with other female Superstars from the past, including WWE Hall of Famer Trish Stratus, Kelly Kelly and a few others.